The power of the force is stronger than ever, and the heroes of the Star Wars Saga are on fans minds as they haven’t been in decades. In honor of International Women’s Day, let us turn our thoughts to one of our bravest heroes, the rebel that started it all, Leia Organa (played by Carrie Fisher in the films). While fans well know the fate of her twin brother, her story is only just now being told. From all corners of the Star Wars extended universe Leia’s back story is being laid out like so many puzzle pieces. Fellow Disney property Marvel Comics released a five-issue comic last summer chronicling Leia’s own adventures just after she doesn’t give Chewie a medal in the closing scene of Star Wars: A New Hope. Her main story continues as she deals with the emotional implications of having lost the only home she had ever known in a fiery explosion, while flashbacks to her childhood on Alderon tell a bit more about her royal upbringing. The comics show a young woman trained not only in the art of diplomacy, but also in hand to hand combat. The more we know Leia, the more we can understand why a torture-bot wasn’t going to work on this princess. Disney’s Star Wars: Rebels, which takes place just five years before A New Hope, shows Leia already working with Rebel scum, while maintaining her cover as a diplomat. It seems that Organa has taught her well, as she plots with the rebels to provide the resistance with much-needed supplies. 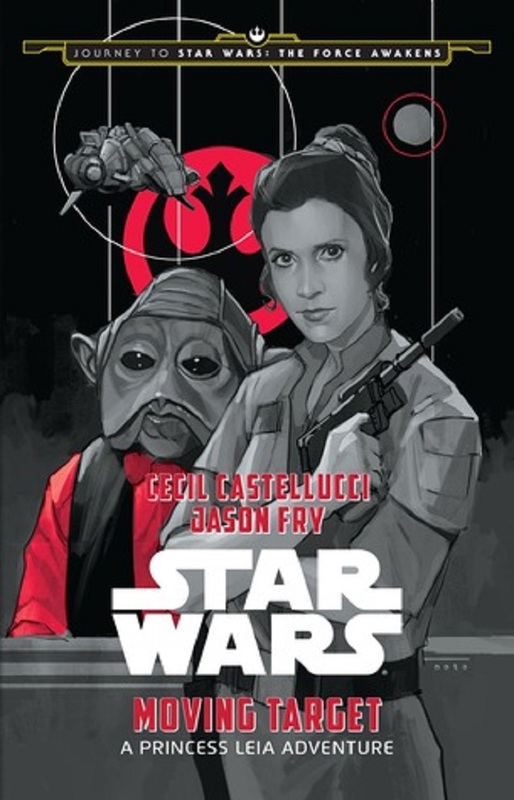 While several parts of Leia’s back story are no longer canon (the Shadows of the Empire for instance), her story continues in books like Moving Target by Cecil Castellucci and Jason Fry. Playing on some of her past non-canon exploits, Leia puts herself in the cross-hairs by leading a decoy mission that will allow the rebellion to recover from its woeful defeat on Hoth (story takes place between Empire Strikes Back and Return of the Jedi). But none of these have answered the number one question on every fan’s mind; Why isn’t Leia a Jedi? Yoda infers that she too, is strong in the force, and what better tool to have against the Empire as a rebel leader? So then, why do we find her right where we left her? This month Del Rey books will release Star Wars: Bloodline by Claudia Gray. The book is a follow-up to Chuck Wendig’s Aftermath, which covers new characters in the rebellion following the destruction of the second Death Star in Return of the Jedi. While General Leia Organa is one of the sagas strongest characters, she hasn’t always been remembered that way. In honor of all the strong women in the world, let’s all remember this rebel is more than a slave girl in a metal bikini. If you feel the desire to support a women’s cause in honor of today, please consider The Malala Fund, ensuring that the generals and Jedi of tomorrow are free to become the best they can. Happy Women’s Day, and may the force be with you all.